Its come to that time of the year once again and what better Concert to attend than, The Skelmanthorpe Brass Band Community's very own 'Christmas Concert' featuring the 3 Bands that make up the Community!! 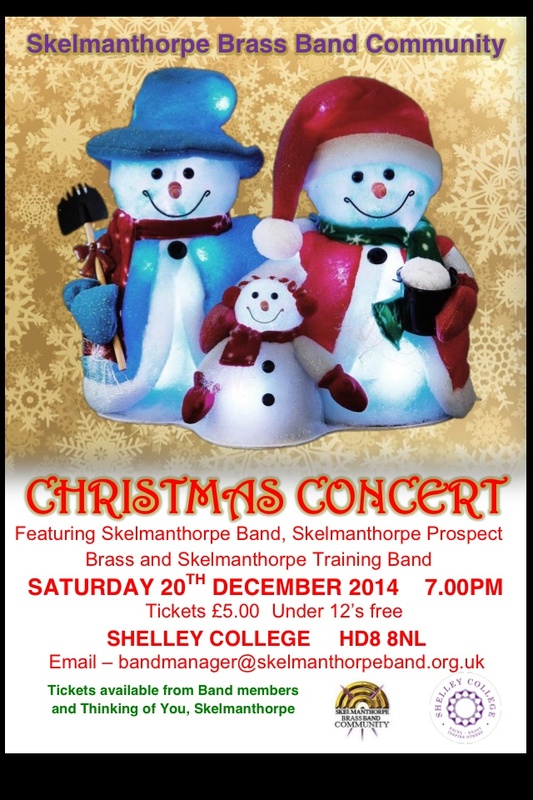 Our Concert will feature, The Skelmanthorpe Band, Skelmanthorpe Prospect Brass and The Skelmanthorpe Training Band. The Concert will commence at 7:00pm on the evening of Saturday 20th December 2014 at Shelley College, Shelley, Huddersfield Road, Huddersfield, HD8 8NL. Our Christmas Concert is certainly NOT TO BE MISSED!! !